Bearings 2000 provides its customers with a comprehensive supply solution for all bearing, sealing and power transmission needs. West Cape Bearing and Transmission is one of the largest bearing stockists in the Western Cape and is the official SKF distributors in Cape Town. KD Bearings & Accessories. Since 2001 Leading bearing and pneumatics suppliers If you cannot find a product here, you will not find it anywhere! Our company started trading on the West Coast in January 2003 as the FAG Franchise for the area (the area was previously serviced by us through the FAG Cape Town Franchise). After FAG was globally taken over by the Schaeffler Group in 2005, all the FAG Franchises in South Africa were dissolved and hence we started trading as Bearings Distributors (Pty) Ltd (established in South Africa in 1953 ). 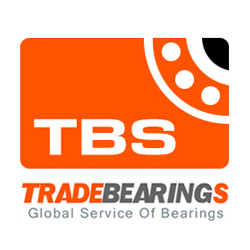 The business was taken over by us in May 2006 and we have since being trading as Bearings Distributors Weskus (Pty) Ltd. We have grown and added many top quality brands to the various products we offer. As always, SERVICE is of great importance and has enabled us grow to where we are today. We offer \"Turnkey\" solutions where most or all items required for many applications can be supplied by us, saving time and streamlining the process. In the manufacturing industry \"time is money\" and we have adapted our level of service accordingly.